See how your area of study can be applied to a career in banking. At BMO your high academic achievement can lead to opportunities you never imagined. 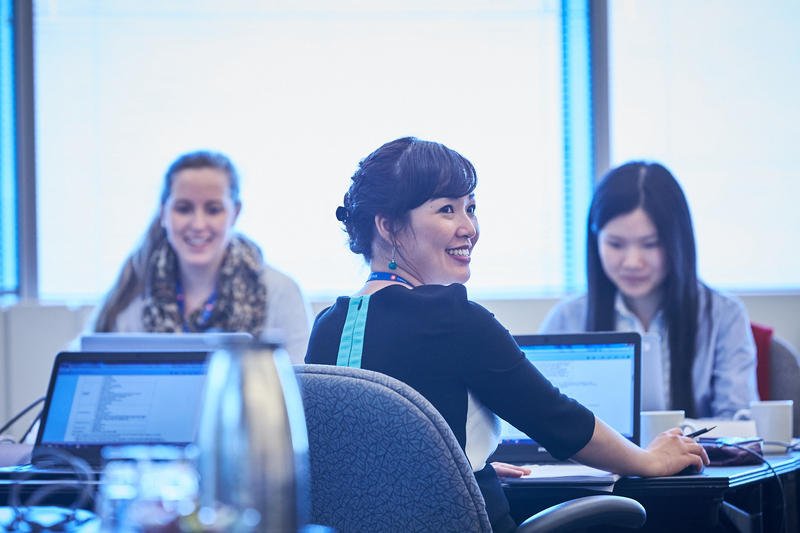 As a valued member of a BMO team you’ll get hands-on experience and have the opportunity to participate in a wide range of workshops and information sessions where experts from throughout the organization share their thoughts on career development. All full-time post-secondary students returning to community college and university are eligible. Build your analytical skills at BMO providing support to your team. Perform analysis, conduct research and present your findings. Create documentation in compliance with corporate standards. Learn to follow procedures and direction to resolve standard, straightforward inquiries and requests. Analyst roles are located in every business group at BMO - Personal & Commercial banking, Technology & Operations, Wealth Management, Human Resources, Marketing, etc. Prepare for an exciting career in IT or technology strategy and planning within the financial services industry. Your work may involve network design, quality assurance testing, or strategic technological planning. Configure, design, test and/or analyze security for a Bank system, network or tool. All roles in the IT & Developer stream are in the Technology group. Get an introduction to the front-line customer experience that’s at the heart of our banking business. Shadow a full-time employee, attend client meetings and learn how to present BMO products and services to our customers. Customer Service and Sales roles are located in our Personal & Commercial banking groups. Jump-start your career doing hands-on analysis and research. Create statistical models to capture and present quantitative data. Generate reports and prepare presentations to assist senior managers in determining BMO’s financial strategy. And work as part of a team evaluating the financial strength of our business customers. Financial Modelling Analyst roles are located in several business groups including: Technology, Finance, Anti Money Laundering, Risk, etc. Work with various internal and external groups to support a specific business or project. If you’re looking for variety, this is it. You could be conducting research, planning and executing events, managing smaller scale initiatives and preparing presentations. The opportunity to learn new skills is endless. Coordinator roles are located in every business group at BMO - Personal & Commercial banking, Technology & Operations, Wealth Management, Human Resources, Marketing, Legal, etc. Coordinate the activities of multiple stakeholders through communications, project plans, training materials, sales reports, and meetings. Be part of strategic planning by gathering information and making recommendations. Build your liaison skills working with partners across BMO. Program Management and Research roles are located in many business groups at BMO - Personal & Commercial Banking, Wealth Management, Human Resources, Marketing, etc. Are you looking to jump start your career by gaining valuable experience through a co-op opportunity? Many of our business groups offer a variety of exciting opportunities. Work terms are typically four months in length and we actively recruit students three times per year: summer, fall and winter. Co-op opportunities are open to students enrolled in an accredited co-operative education program. We work with a number of universities to identify and hire interns and co-op students. Check with your school’s career centre to see if BMO will be recruiting at your school and for application instructions and deadlines. If we do not recruit at your school, and you are enrolled in an accredited co-operative education program, you are invited to search and apply to our open positions. If you don’t see an opportunity that is a fit for you, keep in mind that we recruit at various times throughout the year. Make sure to follow us on Twitter @BMOonCampus to stay up to date on important announcements and events.